As many of you know, Tech N9ne and Strange Music are known for putting on a one-of-a-kind performance. 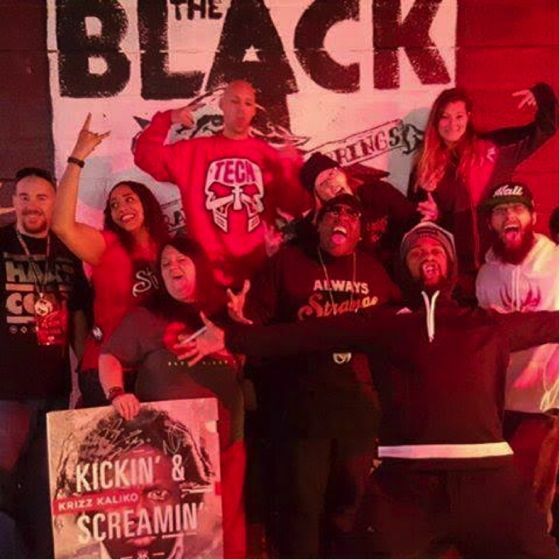 In order to make sure these shows are as Strange as possible, a team of dedicated individuals put in work as soon as their number is called: The Strange Music Street Team. One of Strange’s most decorated Street Team leaders, Bethanie Dillard of Colorado Springs, allowed us to pick her brain about her position and what it entails. How did you go about becoming a street teamer for Strange? I heard about the Street Team from a post I saw online in 2009, I emailed Britton to let him know I was interested and he got me all set up to promote for K.O.D. What made you decide you wanted to be a part of Strange’s street team? I wanted to be a part of the Street Team because I was tired of the radio in my area choosing what people heard. I wanted to show people that there was more out there than what the mainstream media would want you to think. Music that has a real meaning and lyrics that will change your life. Music is my therapy – listening to Tech N9ne and Strange Music has helped me through so much in my life and I wanted to be able to give that to as many people as possible. When asked to do street team work, what are some tasks that come to mind? Spreading the word about any and all things Strange Music. This means putting up posters and promo for all upcoming releases and shows in as many businesses, high-traffic areas, and intersections as possible. Making promo displays to put up in record stores, promo card boxes to put on tabletops in business, and handing out flyers at events in your area. It also means setting up an online page and promoting to as many people on social media as possible, through either shares, posts, events, sales, new videos, interviews, etc. If you have the means, make edits and new promo pictures that everyone on the team can share. If you are a lead you need to delegate to your team and make sure you are all on the same page, a team is only as strong as its weakest link. With internet marketing becoming a prominent roll in the promotion of shows, how has it changed the work you do for Strange? Online promotions and social media have really changed the way I can promote shows. I can reach 2000+ people with one post on our Street Team Facebook page alone. We can also set up event pages and invite a mass group of people with just a click of a button. This also makes it easier for people to share these shows with their friends and family as well. We can also help people find tickets and answer any questions about the meet and greets in a timely fashion because they can contact us directly at our online page. 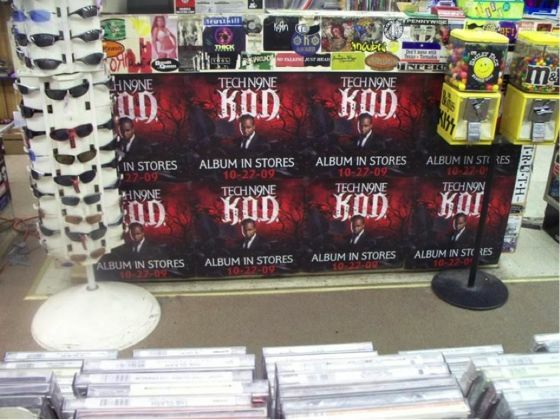 As far as the amount of street promo we do, it hasn’t changed a thing: we still push every show and album just as hard. How far in advance do you begin promoting a show? I like to start my online promotions for a show as soon as I have an official date, start sharing the event page, and sending out as many invites as possible. I also share the event at least once a week and post on the event page to keep people interested and talking about the event. I like to start my street and business promoting 6-8 weeks before the date of the show. I start with one really big push the first week, using at least a fourth of my promo. Then I spread half of my promo out between the middle weeks, keeping a steady push each week. Then the last week I use the last fourth of my promo for one last really big push. What method do you believe to be most effective while doing street team work? I personally don’t think one method is more effective than the other, they all have advantages the others don’t have. I think to run a solid Street Team you really need to utilize all the methods at your disposal. Online promoting reaches a mass group of people all at once and makes it a lot easier to share any and all things Strange, not just albums and events. Street and business promotions can reach a group of people that might not ever get online, and can keep them up to date on all new shows and releases. You can reach people that haven’t heard of Strange but see one of our posters up in a record store and decide to check it out. Having our posters up in as many high traffic areas as we can helps us reach a new demographic of people every day. Face-to-face promotions outside of other events and shows in your area gives you a chance to talk to people one on one. People can only learn so much from a poster, but when you get out there and talk to the people in your area you can answer any questions they might have and let them know there is a Strange Music street team in your area. Word of mouth goes along way. Being in Colorado Springs, what kind of response do you get after telling folks about an upcoming Tech N9ne or Strange Music show? Excitement. 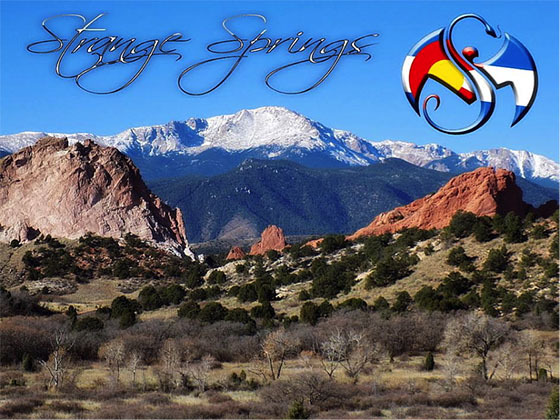 Strangers in Colorado Springs love when Strange Music comes to town. As soon as they hear there is a show coming up they start sharing the event and asking how they can get tickets. They will even travel to Denver to hit up a tour if there isn’t a show in Springs. In your opinion, what do you find most rewarding about your position? That’s a hard question, but for me the most rewarding thing about my position is watching the love for Strange Music grow. When I first started promoting in Scottsbluff, Nebraska in 2009, there were very few people who knew who Tech N9ne was – now you can’t even go into Walmart without running into someone with a Strange Music t-shirt. That is amazing to me, to know that I was a part of helping so many people find such an amazing label that they feel just as passionate about as I do. Now, no matter what town I’m in, I always see a Strange decal on someone’s car and I love that. Being able to hook those random Strangers up with a free poster and have them get as excited as a kid on Christmas, well that’s the second most rewarding thing about my position. IT GOES UP!!! What’s the biggest obstacle one may come across being a street teamer? Honestly, I haven’t ever really come across any obstacles other than the weather haha. When you are trying to hang a poster up in 60 mile an hour winds or 10-degree weather that can be a bit of a pain. I don’t think there is a street team out there as passionate about what they do as the Strange Music Street Team, because this is more then just music for us, the lyrics are more then just words for us. What are your thoughts on the street teaming process?